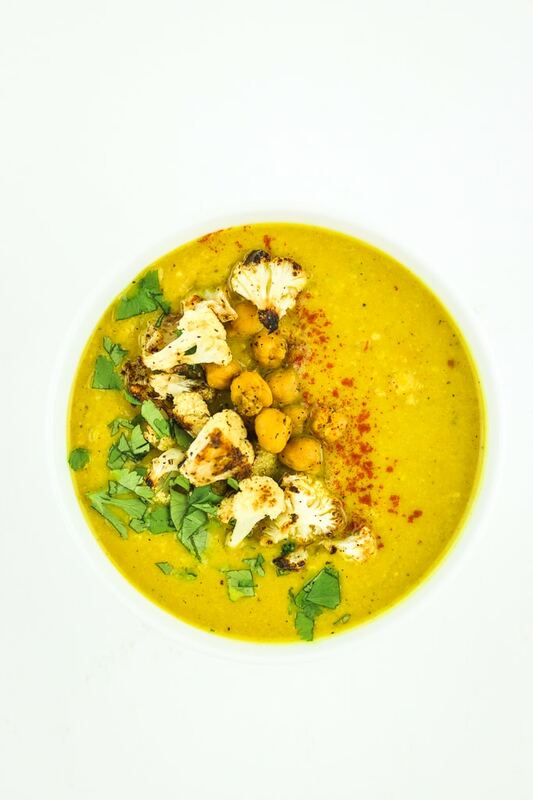 Hello there, daffodil-colored turmeric cauliflower soup! It’s daffodil-colored, right? We can say that because there are daffodils outside. It’s finally spring. And I want to eat nothing but colorful, vibrant food right now! Anybody else feeling the Jon Snow vibes right now? You know, that part in Game of Thrones where he does the whole coming-back-to-life thing? This spring weather has me feeling some kind of way. Creative juices are flowing. Energy is up. Motivation is through the roof. New recipes are coming your way left and right. Let’s talk about this soup, first of all! As the title suggests, this is in fact a ONE POT soup recipe. We’re starting off with a quick sauté for the onions and garlic, then everything else gets added to the pot. Then we just bring the pot to a boil, decrease to a simmer, and leave it simmering for 30-ish minutes. Blend it up with an immersion blender or pour half into a countertop blender and you’re all set! 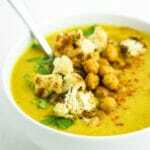 Blending the soup like this creates a nice creamy texture while keeping some of the nice, hearty bits of cauliflower and chickpeas. 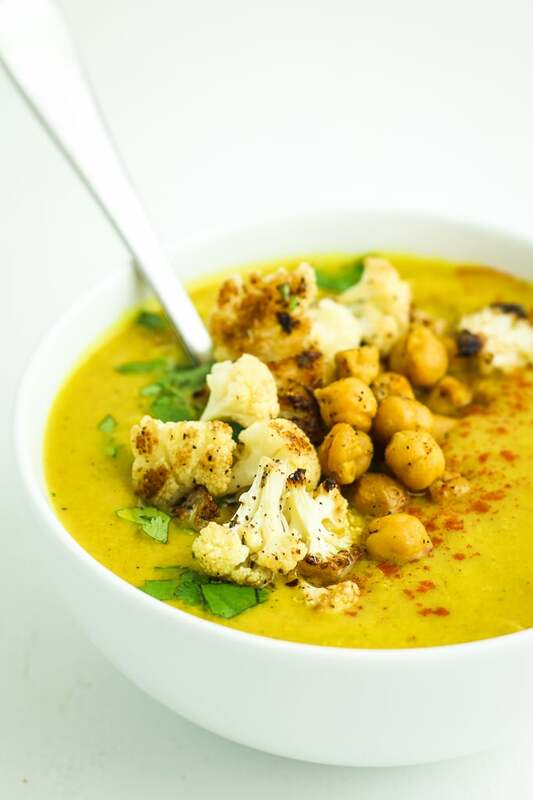 While the soup is simmering, I like to roast some cauliflower and chickpeas in the oven until crispy for topping. 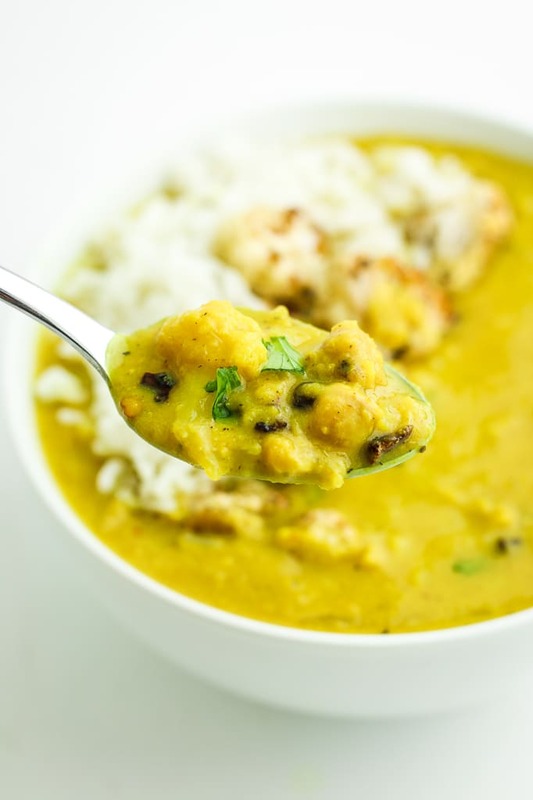 Another good option is adding some basmati to the soup!